Newton South senior distance ace Clare Martin, Arlington's Ryan Oosting, Needham's Davonte Burnett and Norton sprint sensation Brooke-Lynn Williams were among a distinguished cadre of multiple winners at the MIAA All-State Track and Field Championships, held under intermittent grayish skies on the campus of Bridgewater State University. With 41 points, Newton North collected the team competition on the boy's side of the ledger; second going to North Andover with 27.33 pts. Milton racked up 47 points for the team crown among the girl's, followed by Tewksbury Memorial (39) and Wellesley (35). 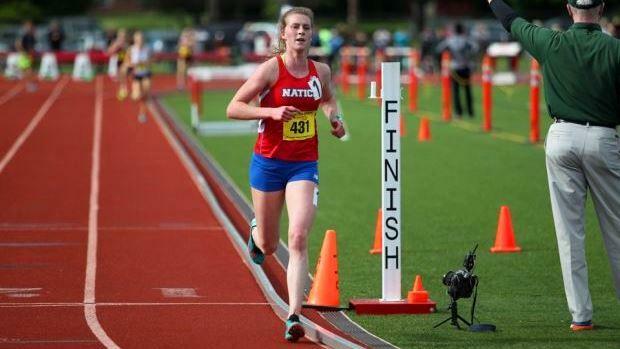 The amiable Martin overcame an injury that shelved her for the cross country and indoor track rebuffed a solid field in the mile, clocking 4:48.88 (US #14). "If you had told me I'd be running these times in the middle of the indoor season, at the end of the cross country, I wouldn't have believed you," she said following her bold performance. "I just feel so fortunate to have had a speedy recovery in the sense that I'm back to running PR's." For an encore, Martin who had hoped to run somewhere in the range of 2:11 for the 800m, held later in the program, was spot on in finishing her double with a time of 2:10.80. "It was frustrating the first half of the year and it required a lot of patience and belief," Martin said of the arduous process, which included a host of cross-training options. "This is more than I could have dreamed of even if I hadn't been injured." A patient Oostling keenly worked his way from mid-pack at the conclusion of the first circuit to within arm's reach of Newton North's Andrew Mah with roughly 600 meters remaining to the line. "I was feeling good," said Oosting following his eight-lap test. "I was trying to work behind Mah the whole race and let him lead. He ran really well too, so props to him. I was confident that I could stay up with him; he's a good runner, but my idea was to come into the mile steady with him and work from there." Williams' adroitness in the short sprints proved eye-opening as she blitzed the field in the 100m in 12.04 and the 200 pursuers as well in 24.85. Williams arrived at the meet with a 200m seed of 25.09. Billerica senior Jake Carlson led Groton-Dunstable's Riley Patten through the line in the 400 hurdles in 55.54 to Patten's 55.71. Patten entered with a season-best mark of 55.05. "The first 200 meters was fun, felt easy, it felt like I was flying", Carlson said. "But after that point, I started to slow down slightly. I didn't hit a hurdle but I went slowly over one and that cut my momentum. I felt then, I just had to keep on pushing. I didn't even see him [Patten] coming on, at that point, I was concentrating on my own race." Burnett took both sprints over a talented field of speedsters. He was timed in 10.63 for the100m and 21.36 for 200m. 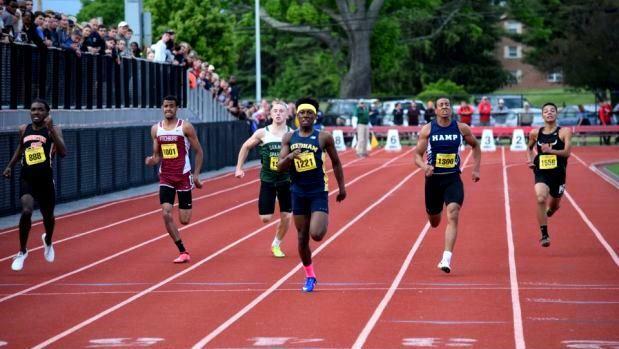 The Needham star held off Milton's Smith Charles (second, 10.88) in the shorter race and Brighton's Ricky Francois (second, 21.80) in the half-lapper. 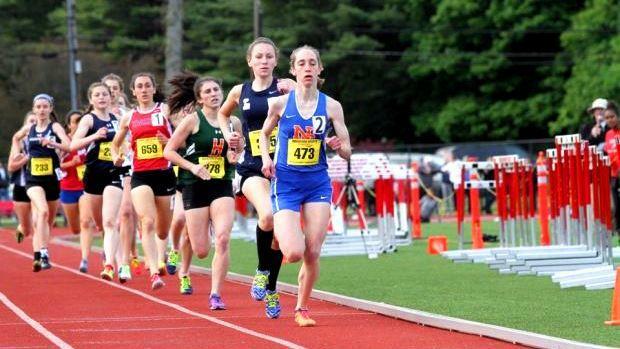 Natick two-miler, top-seed Grace Connolly rolled to a sturdy win with a result of 10:43.61. 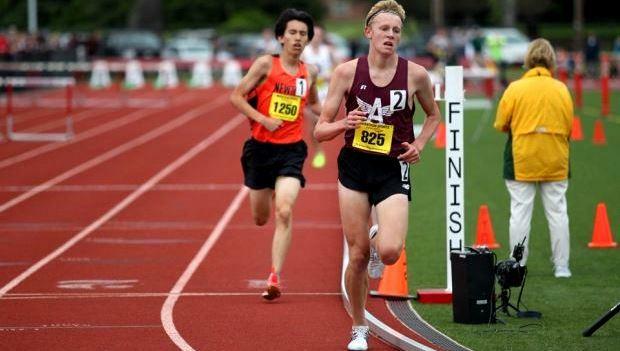 "Coming into the race, I really wanted to PR," said Connolly who ran 10:41.79 a week prior, " but honestly, I wasn't going to be really hard on myself if I didn't because it's only been six days since I've raced, and I've only had five days of training, so coming into it I was pretty tired from running three seasons. I think all of that was catching up to me a little." While the distance races certainly lived up to their pre-race billing, notable results blossomed away from the perimeters of the oval. "I probably had one of my best days ever," said Marlboro senior shot putter Manny Teo, following a consistent series of big tosses in the shot put, ultimately producing a winning mark of 54-05. "I had a really good week of practice, but before this week that I was recovering from a hamstring injury that took two weeks of rest." North Andover's Erick Duffy displayed no threads of fatigue from a long season competing in two distinct disciplines; the 110 hurdles (14.56) and pole vault 16-07.00/MR), taking both with impressive performances. Duffy got out of the blocks superbly, attacking the barriers; forging a substantial lead over his challengers in collecting a victory. Reading's Mark Porter stretched the tape to 194-07 in the earning a win in the javelin, while Milton's Charles copped the long jump (22-08.00) over Brookline's Andrew Chabon (21-11.50). Xaverian Hayden Dillow secured the discus title past Wareham junior Bradley Harunkiewicz 149-11 to 148-04. Pentucket junior Saige Tudisco, ninth a year ago at All-States, moved to the top podium step this time around in the long jump with a result of 17-11.50. Tudisco's achievement was not without frustration. "I couldn't really find my mark," she said. "I found that I was really behind the board a lot, I was a behind a couple of inches on the board just about on every jump. Coming into it this year's meet I was hoping to get over 18, but this was still pretty good." Belmont junior Anoush Krafian topped a talented group in capturing the pentathlon with a new meet record of 3,243 points. In all, the top five competitors eclipsed the previous meet best of 3,028 set a year ago by then sophomore Caitlyn Halloran, who placed fourth with a person best of 3,106 this time out. Krafian's overall title received a boost from a win in the 100m hurdles in a meet best 15.04. Runner up Natalie Marshall (Newton North/3195) won the long jump (16-10.75) and Tewksbury's Loren Polimeno closed the event with a MR 2:19.96 in the 800m.